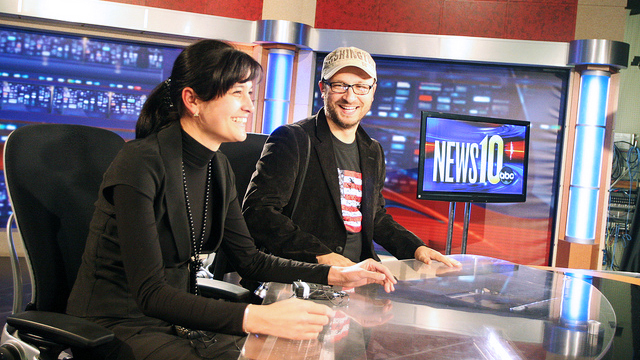 Russian News10: Russian speaking Edward R. Murrow participants visit ABC News 10 in Sacramento, CA. 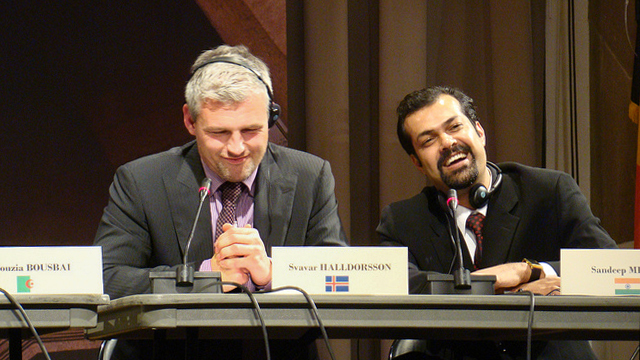 Cooper Union Panel: Svavar Halldorsson of Iceland and Mishra Sandeep of India share their experiences on a Edward R. Murrow panel in New York, NY. ABC News Correspondent Christiane Amanpour entertains questions from program participants from Europe in her New York office. 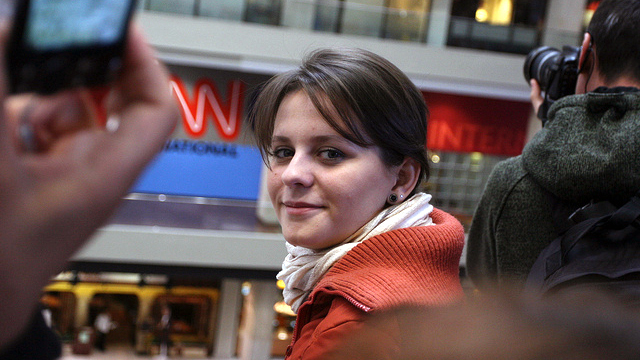 Edward R. Murrow 2011 Cooper Union Media Literacy: A Western Hemisphere Affairs participant interacts via social media during a media literacy session of the program in New York, NY. 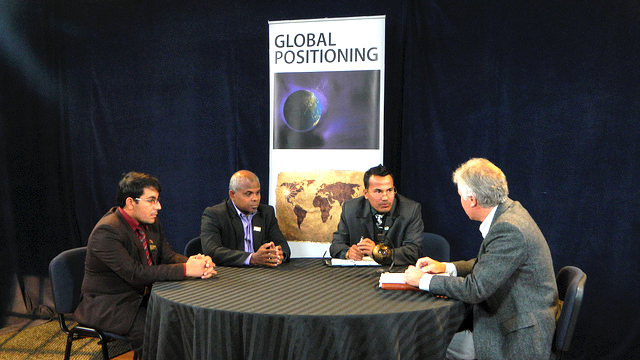 SCA Global Positioning: Participants take part in an interview for the program Global Positioning in Bozeman, MT. 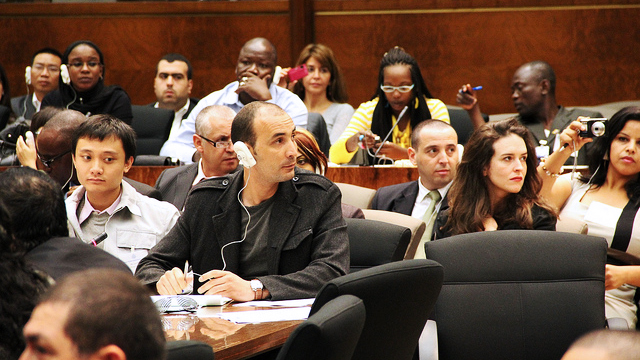 Washington DC Opening: Participants listen to a question posed to Bob Woodward at the opening session in Washington, D.C. 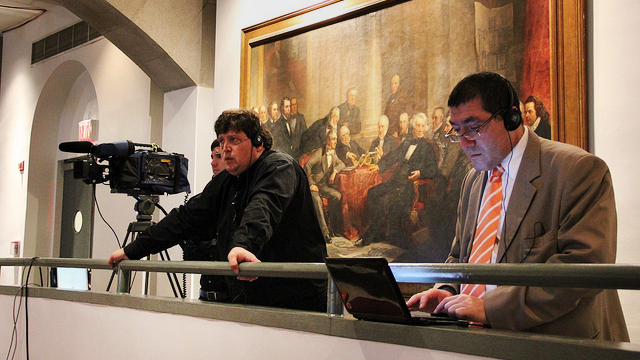 Sessions are broadcast in six languages. 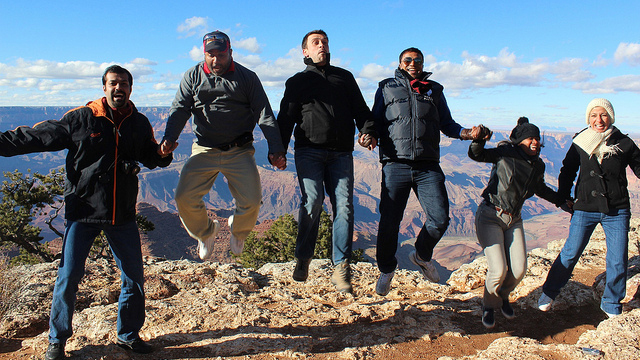 South and Central Asia Edward R. Murrow Program participants at the Grand Canyon in Arizona.